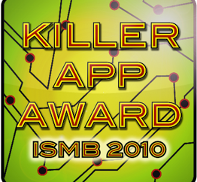 Various browsers use different pop-out windows to launch Web Start applications. 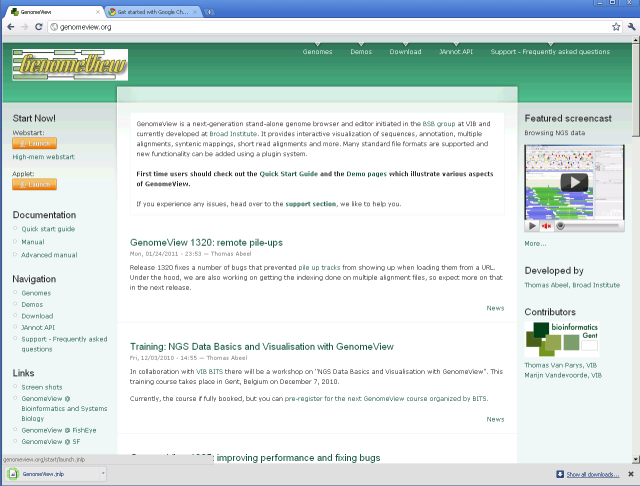 Below several browsers are illustrated. This should look like something in one the figures below. 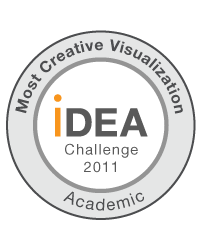 We included picture for each browser, the exact picture you see will depend on your web browser. 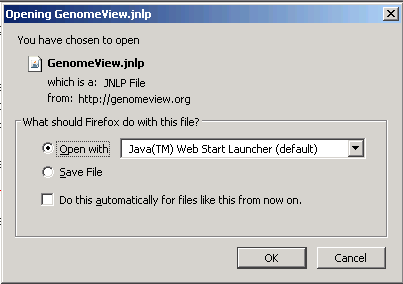 When working in Firefox, make sure Java Web Start Launcher is selected in the drop down list and click OK. When working with Internet Explorer, click on the 'Open' button. 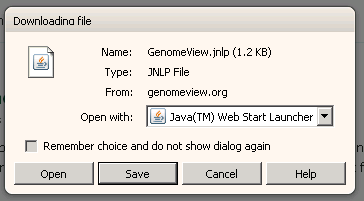 When working with Opera, make sure Java Web Start Launcher is selected in the drop down list and click 'Open'. 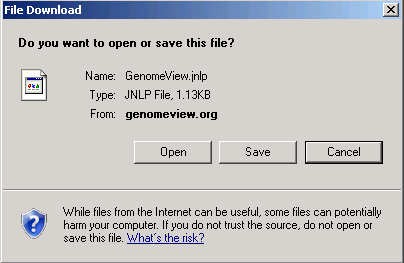 When working in Chrome, you'll see that a file has there will appear a newly downloaded file near the bottom-left of your browser window called GenomeView.jnlp. 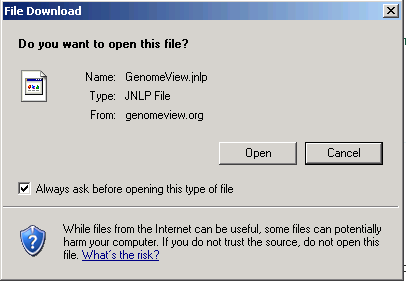 Click it to start GenomeView. Java Web Start Safari Step 1 of 2 Java Web Start Safari Step 2 of 2When working with Safari, there may be two pop-ups, in both of them you have to click 'Open'. The second will not appear depending on your browser configuration. 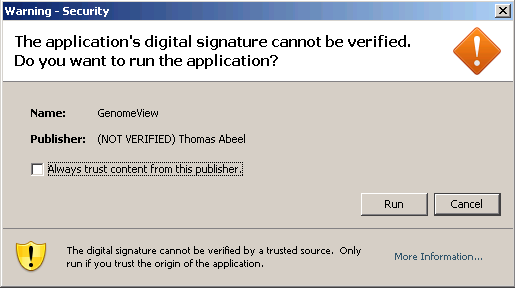 Once you have selected the right option in the previous step, Java will likely complain that it cannot verify the digital signature for the application (see figure). You have to press the 'Run' button to get started.